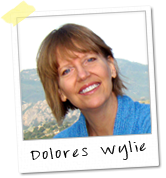 Dolores Wylie knows that true healing starts from within. She personally reconciled her physical and emotional wounds using the body’s innate wisdom and spacious compassion. She is an artisan, equipped with abundant natural talent, a wealth of personal experience, and extensive training in both ancient techniques and conscious expanding neurophysiology. As peacemaker, she gently guides others on an empowering journey to restore wellness and wholeness back into their lives.